Modeling the molecular regulatory mechanisms of biological rhythms: Circadian rhythms and related disorders of the sleep-wake cycle, segmentation clock, cell cycle, metabolic oscillations, oscillations and waves of cyclic AMP in Dictyostelium cells, oscillations and waves of calcium, pulsatile hormone secretion (GnRH, insulin), frequency encoding of pulsatile signals, oscillatory shuttling of transcription factors, complex oscillatory phenomena, transitions between periodic and chaotic behavior. Threshold phenomena in enzyme regulation through phosphorylation-dephosphorylation ("zero-order ultrasensitivity"). Coexistence of multiple steady states (bistability). Sur ce lien, en cliquant sur "feuilleter cet ouvrage" vous aurez accès aux premières page du livre, dont l'Introduction qui en détaille l'esprit et le contenu. Goldbeter A (2010) La vie oscillatoire. Au coeur des rythmes du vivant. 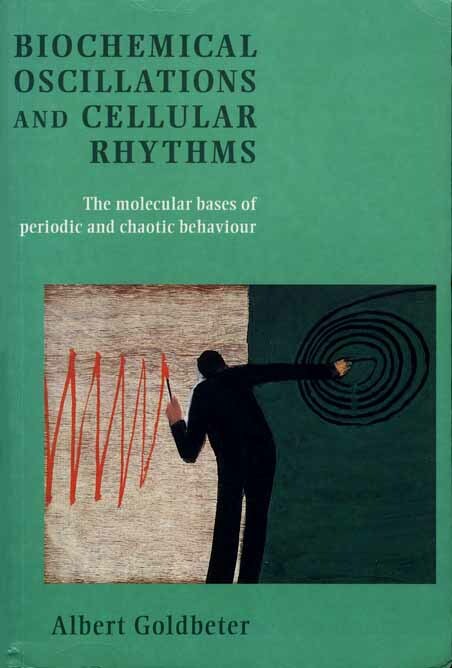 Odile Jacob, Paris, 367 p.
Goldbeter A (1996) Biochemical Oscillations and Cellular Rhythms: The molecular bases of periodic and chaotic behaviour. Cambridge University Press, Cambridge, 605 pp. Goldbeter A (1990) Rythmes et chaos dans les systèmes biochimiques et cellulaires. Masson, Paris, 304 pp. Gonze D, Gérard C, Wacquier B, Woller A, Tosenberger A, Goldbeter A and Dupont G (2018) Modeling-based investigation of the effect of noise in cellular systems. Frontiers in Molecular Biosciences 5, 34. Goldbeter A (2017) Dissipative structures and biological rhythms. Chaos 27, 104612; doi: 10.1063/1.4990783 (View online: http://dx.doi.org/10.1063/1.4990783). Gérard C, Goldbeter A (2016) Dynamics of the mammalian cell cycle in physiological and pathological conditions. WIREs Syst. Biol. Med. 8: 140-56. doi: 10.1002/wsbm.1325. Epub 2015 Nov 27. Goldbeter A (2016) Rythmes du vivant et rythme de vie : vers un décrochage? Cahiers critiques de thérapie familiale et de pratiques de réseaux 56: 233-252. DOI 10.3917/ctf.056.0233. Goldbeter A, Gérard C (2015) From simple to complex oscillatory behavior in cellular regulatory systems. In: Engineering Chemical Complexity II. World Scientific Lecture Notes in Complex Systems, Vol. 12, pp. 1-21 (A Mikhailov and G Ertl, Eds.). World Scientific, Singapore. Goldbeter A (2013) Origin of cyclicity in bipolar disorders: A computational approach. Pharmacopsychiatry 46 (Suppl. 1): S44-S52. Leloup J-C, Goldbeter A (2013) Critical phase shifts slow down circadian clock recovery: Implications for jet lag. J. Theor. Biol. 333, 47-57. Gérard C, Goldbeter A (2012) Entrainment of the mammalian cell cycle by the circadian clock : Modeling two coupled cellular rhythms. PLoS Comput. Biol. 8 (5): e1002516. http://www.ploscompbiol.org/article/info%3Adoi%2F10.1371%2Fjournal.pcbi.1002516. Gérard C, Goldbeter A (2012) The cell cycle is a limit cycle. Math. Models Nat. Phenom. 7: 126-166. Gérard C, Gonze D, Goldbeter A (2012) Effect of positive feedback loops on the robustness of oscillations in the network of cyclin-dependent kinases driving the mammalian cell cycle. FEBS Journal 279: 3411-3431. doi: 10.1111/j.1742-4658.2012.08585.x. 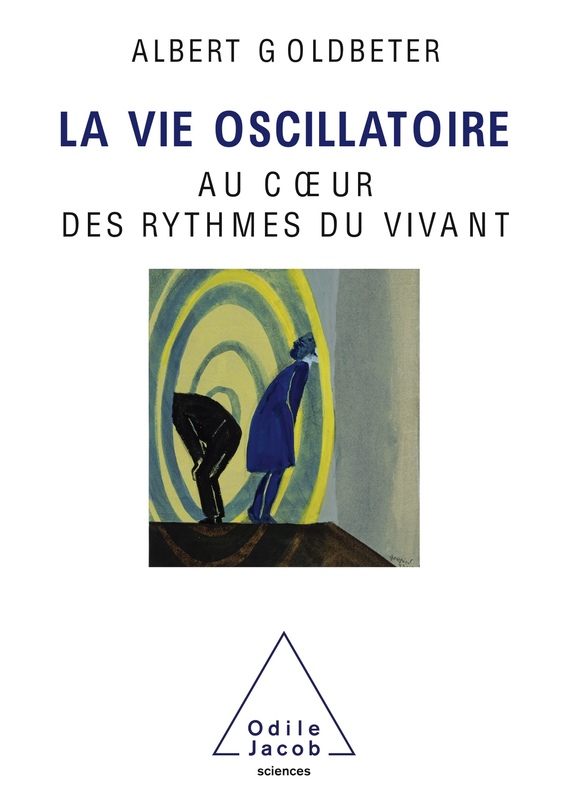 Goldbeter A (2012) La Vie oscillatoire: les bases chimiques des rythmes du vivant. Chimie nouvelle 109: 1-5. Altinok A, Gonze D, Lévi F, Goldbeter A (2011) An automaton model for the cell cycle. Royal Soc J Interface Focus 1, 36-47. Gérard C, Goldbeter A (2011) A skeleton model for the network of cyclin-dependent kinases driving the mammalian cell cycle. R Soc J Interface Focus 1, 24-35. Goldbeter A (2011) A model for the dynamics of bipolar disorders. Progr Biophys Mol Biol 105, 119-127. 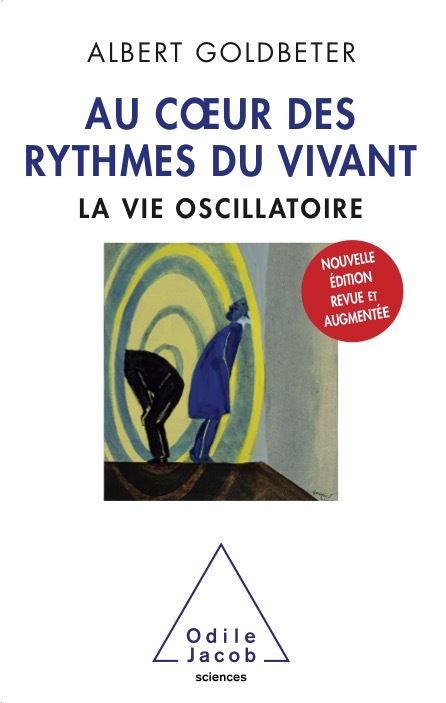 Goldbeter A (2011) Rythmes du vivant: des horloges pour tous les temps (éditorial). Médecine/Sciences 27, 115-116. Lévi F., Altinok A, Goldbeter A (2011) Circadian rhythms and cancer chronotherapeutics. In: Cancer Systems Biology, Bioinformatics and Medicine: Research and Clinical Applications (Eds. F. Marcus and A. Cesario), Springer, Berlin, pp. 381-407. Goldbeter A (2003) Biologie computationnelle des rythmes circadiens.Bull Cl Sci Acad R Belg XIV, 67-82. Goldbeter A (2001) Les rythmes et l'incertain. In : L'homme devant l'incertain (I. Prigogine, Ed. ), Editions Odile Jacob, Paris, pp. 119-139. Gonze D and Goldbeter A (2000) Entrainment versus chaos in a model for a circadian oscillator driven by light-dark cycles. J Stat Phys 101, 649-663. Goldbeter A (1998) Les bases moléculaires des rythmes biologiques. Chimie Nouvelle 16, 1871-1878. Guidi G and Goldbeter A (1998) Bistability without hysteresis in chemical reaction systems: The case of nonconnected branches of coexisting steady states. J Phys Chem A 102, 7813-7820. Guidi G and Goldbeter A (1998) From bistability to oscillations in the isocitrate dehydrogenase reaction. Biophys Chem 72, 201-210. Goldbeter A (1997) Modeling biochemical oscillations and cellular rhythms. Cur Sci 73, 933-939. Guidi G and Goldbeter A (1997) Bistability without hysteresis in chemical reaction systems: A theoretical analysis of irreversible transitions between multiple steady states. J Phys Chem A 101, 9367-9376. Dupont G, Pontès J, and Goldbeter A (1996) Modeling spiral Ca2+ waves in single cardiac cells: Role of the spatial heterogeneity created by the nucleus. Am J Physiol 271, C1390-C1399. Goldbeter A (1996) From ultradian biochemical oscilations to circadian rhythms. In: Membranes and Circadian Rhythms. T. Vanden Driessche (Ed. ), Springer, Berlin, pp. 67-93. Goldbeter A and Guilmot JM (1996) Arresting the mitotic oscillator and the control of cell proliferation: Insights from a cascade model for cdc2 kinase activation. Experientia 52, 212-216. Goldbeter A and Guilmot JM (1996) Thresholds and oscillations in enzymatic cascades. J Phys Chem 100, 19174-19181. Goldbeter A, Guilmot JM, and Romond PC (1996) Contr™le de la prolifération cellulaire: Vers de nouvelles stratégies suggérées par une modélisation de l'oscillateur mitotique. Pathol Biol 44, 172-178. Guidi GM, Halloy J, and Goldbeter A (1995) Chaos suppresion by periodic forcing: Insights from Dictyostelium cells, from a multiply regulated biochemical system, and from the Lorenz model. In: Proceedings of the conference Chaos and Complexity (blois, 1993). Tr‰n Thanh V‰n et al. (Eds), Editions Frontières, Paris, pp. 135-146. Dupont G and Goldbeter A (1994) Properties of intracellular Ca2+ waves generated by a model based on Ca 2+-induced Ca2+ release. Biophys J 67, 2191-2204. Romond PC, Guilmot JM, and Goldbeter A (1994) The mitotic oscillator: Temporal self-organization in a phosphorylation-dephosphorylation enzymatic cascade. Berichte der Bunsen-Gesellschaft fŸr Physikalische Chemie 98, 1152-1159. Segel LA and Goldbeter A (1994) Scaling in biochemical kinetics: Dissection of a relaxation oscillator. J Math Biol 32, 147-160. Erneux T, Edstrom RD & Goldbeter A (1993) Enzyme sharing in phosphorylation-dephosphorylation cascades: The case whereone protein kinase (or phosphatase) acts on two different substrates. J Theor Biol 165, 43-61. Goldbeter A (1993) Modeling the mitotic oscillator driving the cell division cycle. Comments on Theor Biol 3, 75-107. Goldbeter A (1993) From periodic behavior to chaos in biochemical systems. In: Chaos in Chemical and Biochemical Systems (RJ Field and L Gyšrgyi, eds), World Scientific, Singapore, pp. 249-283. Goldbeter A and Dupont G (1993) Wavelike propagation of cAMP and Ca2+ signals: Link with excitability and oscillations. In: Oscillations and Morphogenesis (L Rensing, ed. ), M Dekker, New York, pp. 195-209. Goldbeter A, Li YX, and Dupont G (1993) Pulsatile signalling in intercellular communication: An overview of theoretical and experimental aspects. In: Proceedings of the First European Conference on Mathematics Applied to Biology and Medicine (J Demongeot & V Capasso, eds. ), Wuerz Publ., Winnipeg, Canada, pp. 429-439. Dupont G and Goldbeter A (1992) Oscillations and waves of cytosolic calcium: Insights from theoretical models. BioEssays 14, 485-493. Dupont G and Goldbeter A (1992) Protein phosphorylation driven by intracellular calcium oscillations: A kinetic analysis. Biophys Chem 42, 257-270. Goldbeter A (1992) Comparison of electrical oscillations in neurons with induced or spontaneous cellular rhythms due to biochemical regulation In: Induced Rhythms of the Brain (E Basar & TH Bullock, eds. ), Birkhauser, Boston, pp. 309-324. Li YX, Halloy J, Martiel JL, and Goldbeter A (1992) Suppression of chaos and other dynamical transitions induced by intercellular coupling in a model for cAMP oscillations in Dictyostelium cells. Chaos 2, 501-512. Li YX, Halloy J, Martiel JL, Wurster B, and Goldbeter A (1992) Suppression of chaos by periodic oscillations in a model for cyclic AMP signalling in Dictyostelium cells. Experientia 48, 603-606. Dupont G, Berridge MJ, and Goldbeter A (1991) Signal-induced Ca2+ oscillations: properties of a model based on Ca2+-induced Ca2+ release. Cell Calcium 12, 73-85. 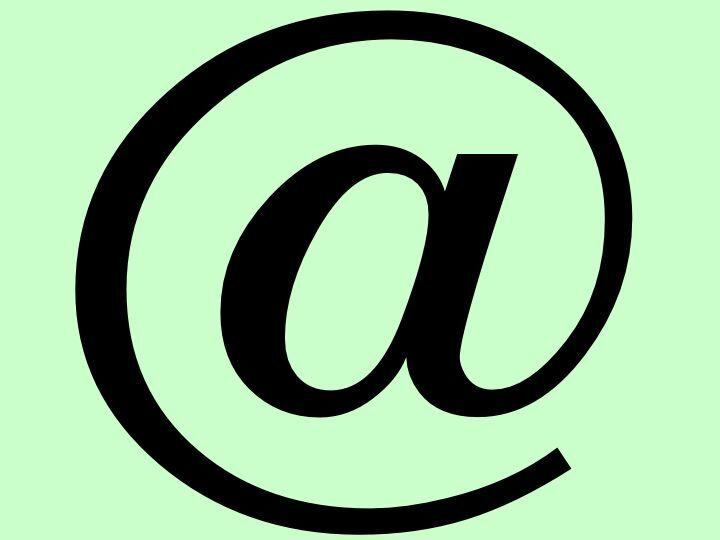 Goldbeter A (1991) Du codage par fréquence des communications intercellulaires ˆ l'ébauche d'une chronopharamacologie généralisée. Bull Acad Roy Méd Belg 146, 113-127. Goldbeter A and Dupont G (1991) Phosphorylation and the frequency encoding of signal-induced calcium oscillations. In: Cellular Regulation by Protein Phosphorylation (L Heilmeyer, ed.) Springer, Berlin, pp. 35-39. Goldbeter A, Li YX, and Dupont G (1991) Periodicity and chaos in cAMP, hormonal and calcium signalling. In: Complex Dynamics and Biological Evolution (E Mosekilde, ed. ), Plenum Press, New York, pp. 131-143. Goldbeter A, Li YX, and Dupont G (1990) Oscillatory dynamics in intercellular communication. Biomed Biochim Acta 49, 935-940. Goldbeter A and Dupont G (1990) Allosteric regulation, cooperativity, and biochemical oscillations. Biophys Chem 37, 341-353. Goldbeter A and Koshland Jr DE (1990) Zero-order ultrasensitivity in interconvertible enzyme systems. In Control of Metabolic Processes (A Cornish-Bowden & ML Cardenas, eds. ), Plenum, New York, pp. 173-182. Goldbeter A and Wolpert L (1990) Covalent modification of proteins as a threshold mechanism in development. J Theor Biol 142, 243-250. Halloy J, Li XY, martiel JL, Wurster B, and Goldbeter A (1990) Coupling chaotic and periodic cells results in a period-doubling route to chaos in a model for cAMP oscillations in Dictyostelium suspension. Phys Lett A 151, 33-36. Li Y and Goldbeter A (1990) Frequency encoding of pulsatile signals of cAMP based on receptor desensitization in Dictyostelium cells. J Theor Biol 146, 355-367. Dupont G and Goldbeter A (1989) Theoretical insights into the origin of signal-induced calcium oscillations. In: Cell to Cell Signalling: From Experiments to Theoretical Models (A Goldbeter, ed.) Academic Press, London, pp. 461-474. Goldbeter A and Li XY (1989) Frequency coding in intercellular communication. In: Cell to Cell Signalling: From Experiments to Theoretical Models (A. Goldbeter, ed.) Academic Press, London, pp. 415-432. Goldbeter A and Wurster B (1989) Regular oscillations in suspensions of a putatively chaotic mutant of Dictyostelium discoideum. Experientia 45, 363-365. Li Y and Goldbeter A (1989) Oscillatory isozymes as the simplest model for coupled biochemical oscillators. J Theor Biol 138, 149-174. 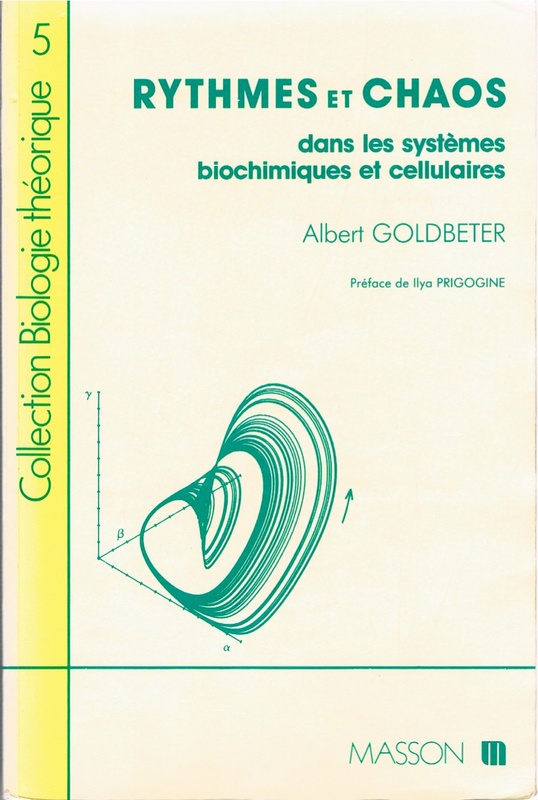 Goldbeter A (1988) Temps et rythmes biologiques. In: Redécouvrir le temps (A Nysenholc & JP Boon, eds.) Revue de l'Université de Bruxelles, pp. 93-102. Goldbeter A (1988) Periodic signaling as an optimal mode of intercellular communication. News Physiol Sci 3, 103-105. Goldbeter A, Decroly O, Li Y, Martiel JL, and Moran F (1988) Finding complex oscillatory phenomena in biochemical systems. An empirical approach. Biophys Chem 29, 211-217. Goldbeter A and Martiel JL (1988) Developmental control of a biological rhythm: The onset of cAMP oscillations in Dictyostellium cells. In: From Chemical to Biological Organization (M Markus, S Muller & G Nicolis, eds.) Springer, Berlin, pp. 248-254. Goldbeter A (1987) Adaptation, periodic signaling and receptor modification. In: Molecular Mechanisms of Desensitization (TM Konijn, PJM Van Haastert, H Van der Wel & MD Houslay, eds.) Springer, Berlin, pp. 43-62. Goldbeter A (1987) Periodic signaling and receptor desensitization: from cAMP oscillations in Dictyostellium cells to pulsatile patterns of hormone secretion. In: Temporal Disorder in Human Oscillatory Systems (L Rensing, U an der Heiden & MC Mackey, eds.) Springer, Berlin, pp. 15-23. Goldbeter A and Martiel JL (1987) Periodic behaviour and chaos in the mechanism of intercellular communication governing aggregation of Dictyostellium amoeba. In: Chaos in Biological Systems (H Degn, AV Holden & LF Olsen, eds.) Plenum Press, New York, pp. 79-89. Goldbeter A and Moran F (1987) Complex patterns of excitability and oscillations in a biochemical system. In: The Organization of Cell Metabolism (R Welch & J Clegg, eds.) Plenum Press, New York, pp. 291-306. Martiel JL and Goldbeter A (1987) Origin of bursting and birhythmicity in a model for cyclic AMP oscillations in Dictyostelium cells. Lect Notes Biomath 71, 244-255. Moran F and Goldbeter A (1987) Periodic forcing of a biochemical system with multiple modes of oscillatory behaviour. In: Chaos in Biological Systems (H Degn, AV Holden & LF Olsen, eds.) Plenum Press, New York, pp. 67-77. Segel LA, Goldbeter A, Devreotes PN, and Knox BE (1986) A mechanism for exact sensory adaptation based on receptor modification. J Theor Biol 120, 151-179. Decroly O and Goldbeter A (1985) Selection between multiple periodic regimes in a biochemical system: Complex dynamic behaviour resolved by use of one-dimensional maps. J Theor Biol 113, 649-671. 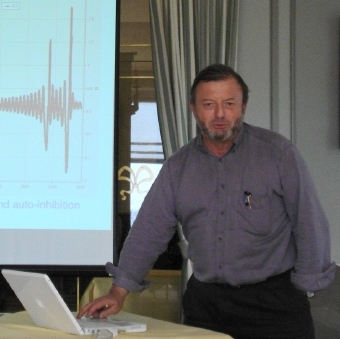 Goldbeter A (1985) Complex oscillatory phenomena, including multiple oscillations, in regulated biochemical systems. Biomed Biochim Acta 44, 881-889. Goldbeter A (1985) Nonequilibrium sensitivity and threshold phenomena in biological systems. In: The Living State-II (RK Mishra, ed.) World Scientific Publ. Co., Singapour, pp. 47-66. Martiel JL and Goldbeter A (1985) Autonomous chaotic behaviour of the slime mould Dictyostelium discoideum predicted by a model for cyclic AMP signalling. Nature 313, 590-592. Martiel JL and Goldbeter A (1985) Comportements périodiques, excitabilité et chaos dans un modèle pour la génération des signaux d'AMP cyclique chez l'amibe Dictyostelium discoideum. In: Actes du IVème Séminaire de l'Ecole de Biologie Théorique (G Benchetrit & J Demongeot, eds.) Editions du C.N.R.S., Paris, pp. 225-234. Moran F and Goldbeter A (1985) Excitability with multiple thresholds. A new mode of dynamic behavior analyzed in a regulated biochemical system. Biophys Chem 23, 71-77. Segel LA, Goldbeter A, Devreotes PN, and Knox BE (1985) A model for sensory response and exact adaptation mediated by receptor modification. In: Sensing and Response in Microorganisms (M Eisenbach & M Balaban, eds.) Elsevier, Amsterdam, pp. 175-183. Decroly O and Goldbeter A (1984) Coexistence entre trois régimes périodiques stables dans un système biochimique ˆ régulation multiple. C R Acad Sci (Paris) Ser II 298, 779-782. Decroly O and Goldbeter A (1984) Multiple periodic regimes and final state sensitivity in a biochemical system. Phys Lett 105A, 259-262. Decroly O and Goldbeter A (1984) Patterns of nonequilibrium sensitivity in biological systems. In: Fluctuations and Sensitivity in Nonequilibrium Systems (W Horsthemke & DK Kondepudi, eds.) Springer, Berlin, pp. 214-222. Goldbeter A, Martiel JL, and Decroly O (1984) From excitability and oscillations to birhythmicity and chaos in biochemical systems. In: Dynamics of Biochemical Systems (J Ricard & A Cornish-Bowden, eds.) Plenum Press, New York, pp. 173-212. Martiel JL and Goldbeter A (1984) Oscillations et relais des signaux d'AMP cyclique chez Dictyostelium discoideum: Analyze d'un modèle fondé sur la désensibilisation du récepteur pour l'AMP cyclique. C R Acad Sci (Paris) Ser III 298, 549-552. Moran F and Goldbeter A (1984) Onset of birhythmicity in a regulated biochemical system. Biophys Chem 20, 149-156. Goldbeter A and Decroly O (1983) Temporal self-organization in biochemical systems: periodic behavior vs chaos. Am J Physiol 245, R478-R483. Goldbeter A and Martiel JL (1983) A critical discussion of plausible models for relay and oscillations of cyclic AMP in Dictyostellium discoideum. Lect Notes Biomath 49, 173-188. Goldbeter A and Koshland Jr DE (1982) Simple molecular model for sensing and adaptation based on receptor modification with application to bacterial chemotaxis. J Mol Biol 161, 395-416. Koshland Jr. DE, Goldbeter A, and Stock JB (1982) Amplification and adaptation in regulatory and sensory systems. Science 217, 220-225. Goldbeter A (1981) Bifurcations and the control of developmental transitions: Evolution of the cyclic AMP signalling system in Dictyostellium discoideum. In: Mathematical Biology. Towards a Molecular Science (T Burton, ed.) Pergamon Press, New York, pp. 79-95. Martiel JL and Goldbeter A (1981) Metabolic oscillations in biochemical systems controlled by covalent enzyme modification. Biochimie 63, 119-124. Prigogine I and Goldbeter A (1981) Nonequilibrium self-organization in biochemical systems. In: Biochemistry of Exercise (J Poortmans, ed.) University Park Press, Baltimore, Md. Vol 3, pp. 3-12. Goldbeter A (1980) Models for oscillations and excitability in biochemical systems. In: Mathematical Models in Molecular and Cellular Biology (LA Segel, ed.) Cambridge Univ. Press, Cambridge, pp. 248-291. Goldbeter A and Segel LA (1980) Control of developmental transitions in the cyclic AMP signalling system of Dictyostelium discoideum. Differentiation 17, 127-135. Goldbeter A and Venieratos D (1980) Analysis of the role of enzyme co-operativity in metabolic oscillations. J Mol Biol 138, 137-144. Venieratos D and Goldbeter A (1979) Allosteric oscillatory enzymes: Influence of the number of protomers on metabolic periodicities. Biochimie 61, 1247-1256. Goldbeter A (1978) Nonequilibrium behavior of biochemical systems. In: Alcohol and Aldehyde Metabolizing Systems (RG Thurman, JR Williamson, H Drott & B Chance, eds.) Academic Press, New York, Vol. 3, pp. 1-16. Goldbeter A and Erneux T (1978) Oscillations entretenues et excitabilité dans la réaction de la phosphofructokinase. C R Acad Sci (Paris) Ser C 286, 63-66. Hess B, Goldbeter A, and Lefever R (1978) Temporal, spatial and functional order in regulated biochemical and cellular systems. Adv Chem Phys 38, 363-413. Goldbeter A (1977) Thermodynamic and kinetic aspects of regulation. Acta Biochem Biophys Acad Sci Hung 12 141-148. Goldbeter A (1977) On the role of enzyme cooperativity in metabolic oscillations. Analysis of the Hill coefficient in a model for glycolytic periodicities. Biophys Chemi 6, 95-99. Goldbeter A (1976) Kinetic cooperativity in the concerted model for allosteric enzymes. Biophys Chemist 4, 159-169. Goldbeter A and Caplan SR (1976) Oscillatory enzymes. An Rev Biophys Bioengin 5, 449-476. Goldbeter A and Nicolis G (1976) An allosteric enzyme model with positive feedback applied to glycolytic oscillations. In: Progress in Theoretical Biology (F Snell & R Rosen, eds.) Academic Press, New York, Vol. 4, pp. 65-160. Goldbeter A (1975) Mechanism for oscillatory synthesis of cyclic AMP in Dictyostelium discoideum. Nature 253, 540-542. Goldbeter A (1975) Contribution to the Faraday Symposium n¡9 Physical Chemistry of Oscillatory Phenomena, pp. 222-224. Goldbeter A (1974) Kinetic negative cooperativity in the allosteric model of Monod, Wyman and Changeux. J Mol Biol 90, 185-190. Goldbeter A and Lefever R (1972) Sustained oscillations in an allosteric enzyme model. In: Analysis and Simulation of Biochemical Systems (HC Hemker & B Hess, eds.) North-Holland, Amsterdam, pp. 163-169. Goldbeter A and Nicolis G (1971) Far from equilibrium synthesis of small polymer chains and chemical evolution. Biophysik 8, 212-226. Prigogine I, Lefever R, Goldbeter A, and Herschkowitz-Kaufman M (1969) Symmetry-breaking instabilities in biological systems. Nature 223, 913-916.